Yesterday my friend J Paul Hawthorne posted an ancestor birth location chart on Facebook. 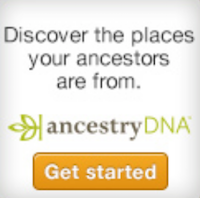 The idea took off like wildfire and soon most of my genealogy friends had created theirs. Sounds silly? Sounds like a waste of time? What can I say except it was fun! I created mine only instead of starting with me and going up my ancestral lines, I created one starting with my father. 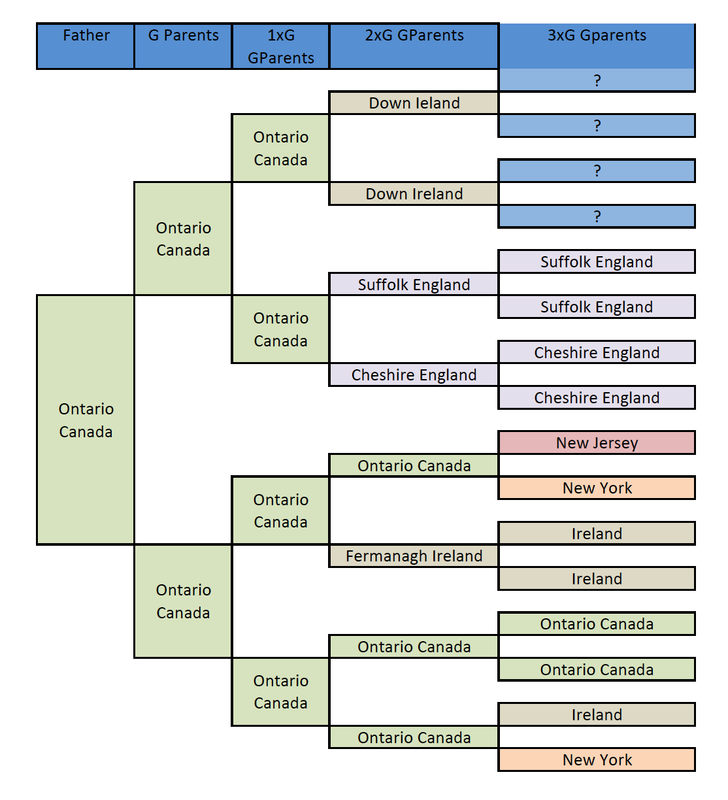 There is no point to starting with my mom because after her all the boxes would say "England"
The visual aspect of this chart appeals to me. At a glance I can see that 5 of my 8 second great-grandparents were immigrants. So thanks Paul for giving me something bright and shiny to distract me from what I should have been doing. I loved creating this! UPDATE: I've been asked how to create this. 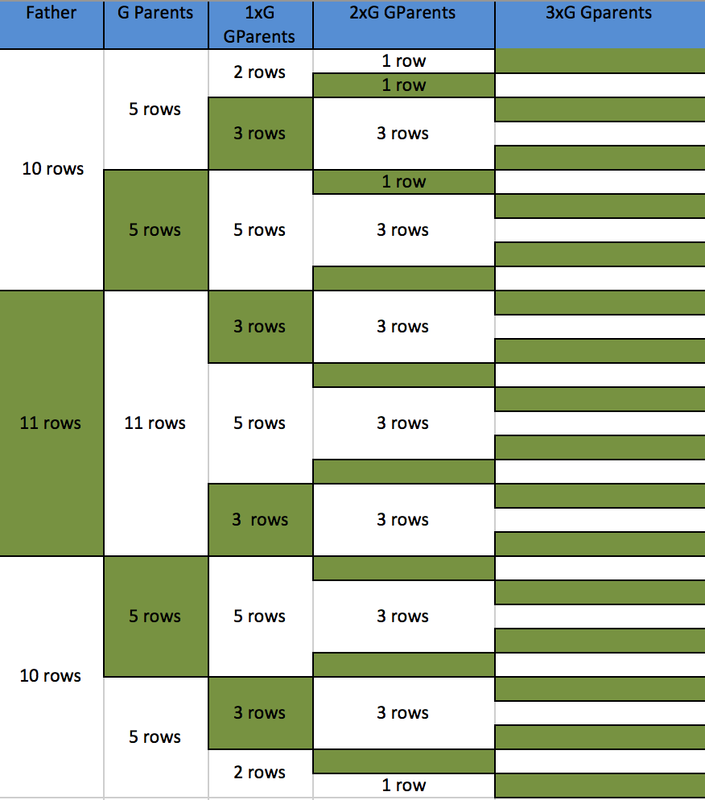 I did mine in Excel, counting the rows that Paul used to make his. 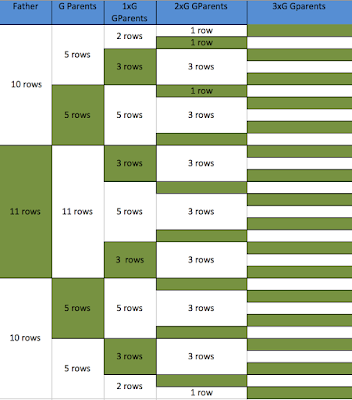 Here's an image of mine with the number of rows entered so you can create your own. If the entry contains more than one cell, you have to merge the cells to create a cell of the sizes shown. Be sure to change the colour green to different colours for each country you enter. For example, all Ireland would be one colour, all New York would be a different colour. Have fun! What a fun idea! Did you do that in Excel? It might be useful to create a chart like this using cause of death instead of birth location.